Rumored before, still rumored, though it's really close to confirmation and - odds are - it's true. Apparently we should also be expecting Nova? Fine with me as well. I'll keep the OP updated with info as it comes. Wait…aren't we assuming this is gonna be live action? Why wouldn't it be? And whatever, Black Panther will come out. He's referring to how it will hopefully not result in the inevitable conclusion of the Guardians meeting with the Avengers. I'm down with a live action Guardians of the Galaxy film, I just hope they do not try to tie it in with an Avengers film. Especially considering the Thanos bit. While I don't necessarily think it'll be tied to it, I feel like its pretty obvious they'll be in the same universe, and references to them will probably be made. Wait why? I'm hoping they connect. Tho they're going to be compared probably but that might not be that bad. Personally the only part I wouldn't mind of that would be the Guardians making a cameo to help the Avengers at the last minute for backup against something. Other then that, yeah, that can stay away. Maybe we'd seen Nova's temporary alignment with the Avengers though? The Avengers, as they are, are nowhere near strong enough to take on Thanos. Not even with the help of (supposedly) Dr. Strange. The Guardians are the most likely characters to shrink that gap in power. I'm curious who the cast of characters will be, because the Guardians have gone through several roster changes and (unlike the Avengers) don't seem to have much of a core group. Nova's a no-brainer, and I'm willing to bet Rocket Raccoon will be on there. But who else? It's also worth noting that Iron Man 3 will see Marvel's first major departure from the comic's canon by having Iron Man wear the Norman Osbourne's Iron Patriot armor. So they may be willing to make the Guardian's lineup consist of more mainstream names. What would be hilarious to me is if they got some Inhumans characters involved, especially Blackbolt. Because he's usually associated with the Fantastic Four or X-Men more than anyone else, but since Fox hasn't used them...they could be free game. Depends which Strange. Classic Strange was extremely powerful. Even now Dr. Strange is one of the strongest in the Marvel Universe, but this all hinges on whether he is that powerful in his movie. He's definitely a boost to fight Thanos though. I figure the key to that in the movie with Thanos though is basically all on Odin possessing the Infinity Gauntlet. Oh yeah I'm usually the first to brag on Strange, but my comment was based around Thanos getting the Infinity Gauntlet. With that, Strange is barely a factor. Without...yeah I guess he could event the tides some, especially with the Sorcerer Supreme title. Yeah, it looks like this is going to lead directly into the Avengers 2. Apparently it's gonna borrow from the Thanos Imperative story. 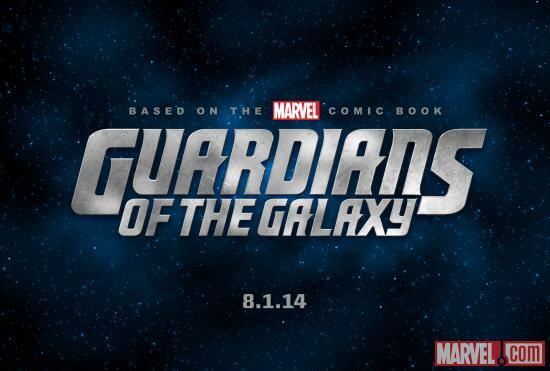 The roster will most definitely have Star-Lord, Rocket Raccoon, and Adam Warlock. Not sure who else, since the team has had so many members in the comics. Nova's been confirmed, has he not? Wonder which one they'll use. UPDATE: The Hollywood Reporter confirms the above report, also citing the strength of Nicole Perlman's GOTG script as a big reason why it's moving forward ahead of other Marvel movies in development: "She also has written two drafts of Guardians that are highly regarded. Adding to the heat surrounding Guardians is the fact that Marvel is currently on the hunt for a director. Those in the know say the project is in line with Avengers in tone in the sense there is plenty of comedic elements on display." This is extremely good news. The Avengers will connect with them which I wanted from the get go because I want to see a large MCU. And it's also good that there have been two drafts of the film that are highly regarded and that it's being pushed because of that fact. And yup I knew it was gonna get compared. Kinda gonna fill in the gap for those who want a super group(can I call them that?) with some fun in-between the big features. Yeah, I'm sure it will be announced at SDCC. The comic that launched for The Avengers movie, Avengers Assemble (which will in turn be adapted into the new animated series), will feature the Guardians next month. There's an ad in Spider-Men 3 that came out today. They're likely doing that to begin introducing them to more people. I don't know why, but I didn't expect to see Groot. Glad to see he's there. They look epic. Especially Rocket. Like. He looks like he'll be vicious as crap...and cute. Lol. So I guess Nova didn't make the cut? Was really hoping to see him. I know he's not a traditional Guardian, but this is Marvel's best chance to introduce all their cosmic characters. I'm also hoping to see the Watcher, and hoping they can wrangle the Silver Surfer and Galactus. I doubt Silver Surfer and Galactus can be used, especially with the news that Fox is going on with it's reboot of the Fantastic 4.